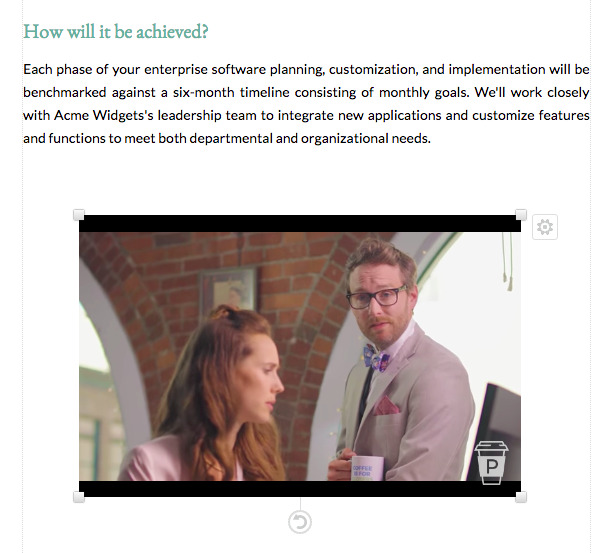 We currently support YouTube, Wistia and Vimeo videos for embedding into a proposal. Since they're embedded there is no file size limit - it won’t even slow down the proposal as services like YouTube and Wistia compress them and only load them when the button is clicked! We're looking to add support for more video services in the near future. Keep an eye on our updates newsletter to see when that is released! 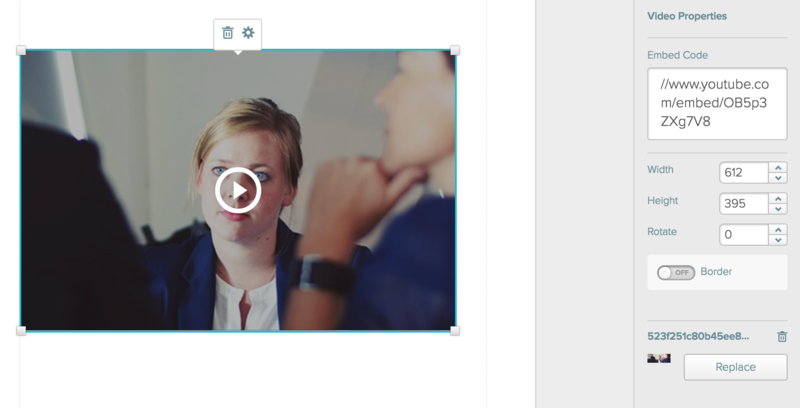 To add a video to a section of your proposal, click on the video button in the tool bar, and then click anywhere on the page. 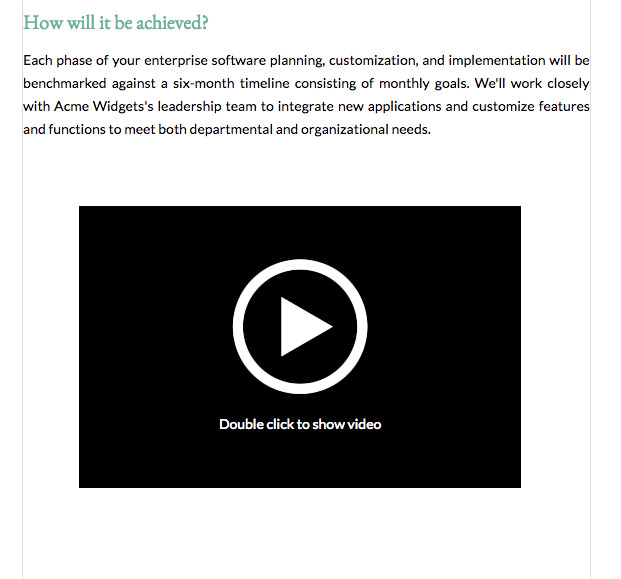 You'll be asked to provide the embed code (the video must be already uploaded to Vimeo or Youtube or Wistia). Open a new tab and find the video. 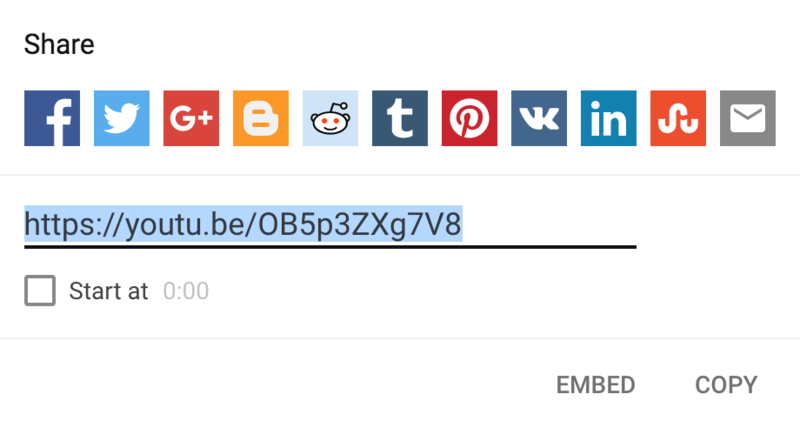 You can grab the embed code by clicking on the share button and then highlighting and copying the code that begins with <iframe>. 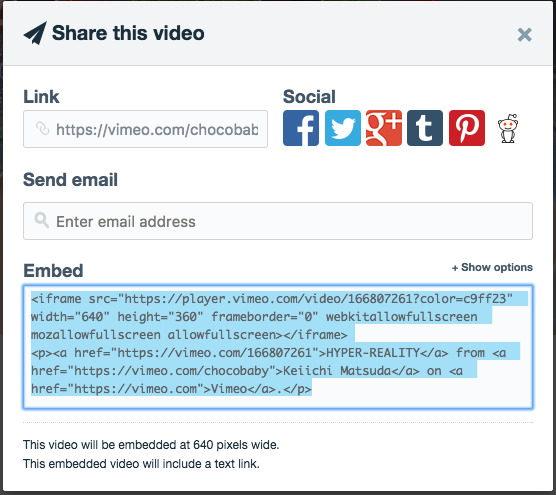 If you prefer you can also just use the regular share link that Youtube and Vimeo provide. 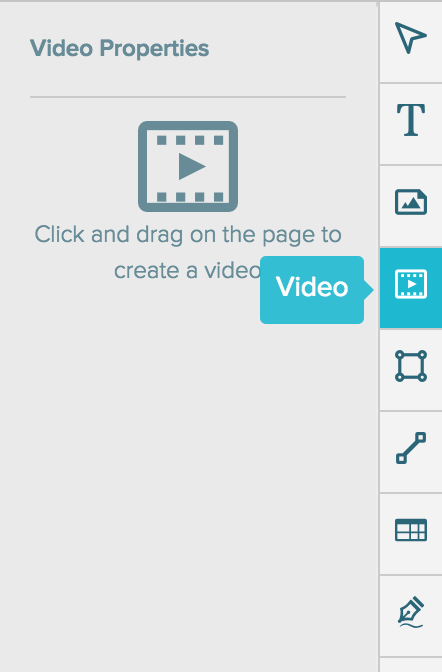 You can customize the video container by changing the width and height, rotate it, and add a border. You can resize it as you would a normal text box, image or shape. If you want to watch it, double click the video while it's in the editor. Don't worry, it won't appear this way for clients previewing your proposal in the browser, they'll just see the video without having to double-click. However if they've downloaded a PDF the video will appear as a black video box they'll need to click to view the video in the browser. If you don't want the black box to appear you can upload your own custom thumbnail in the right-hand panel. 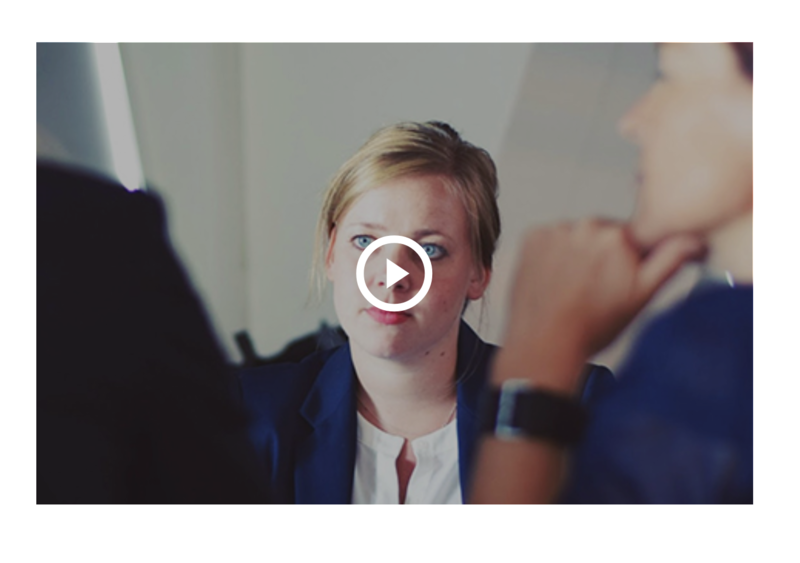 When clients are viewing the video in the preview before they click the play button they'll see your thumbnail image.